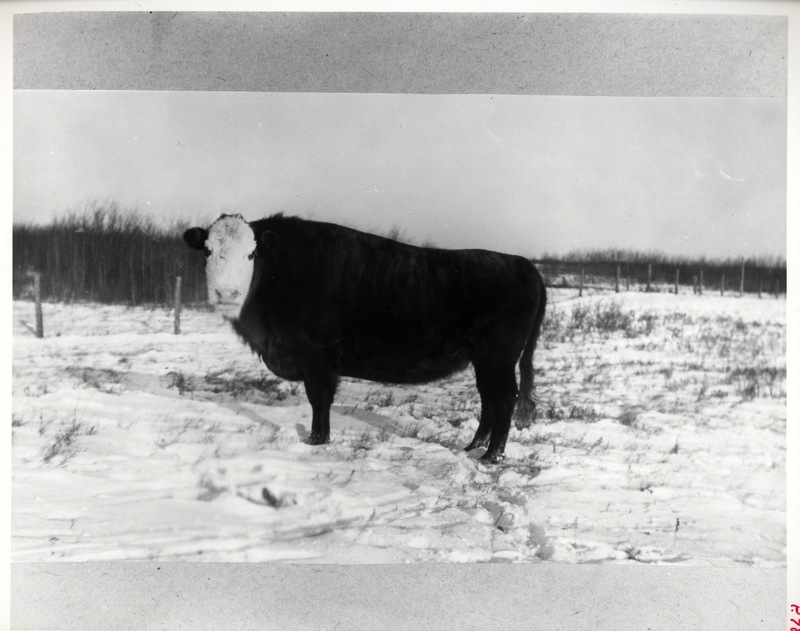 One of the buffalo hereford mix, often referred to as a cattalo or a beefalo, in the snow. 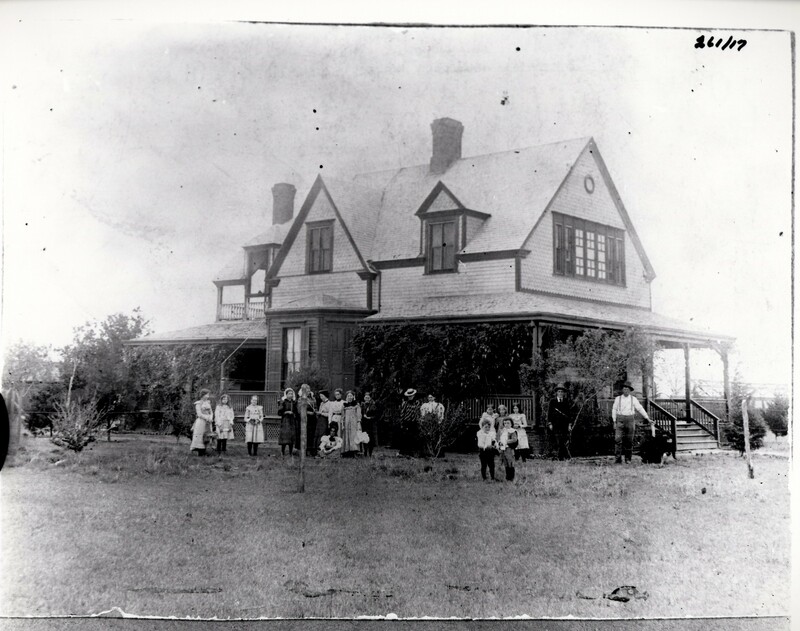 The Texas Historical Foundation has elected to support the Charles Goodnight Ranch House restoration by giving almost $225,000 for the project being coordinated by the Armstrong County Museum. 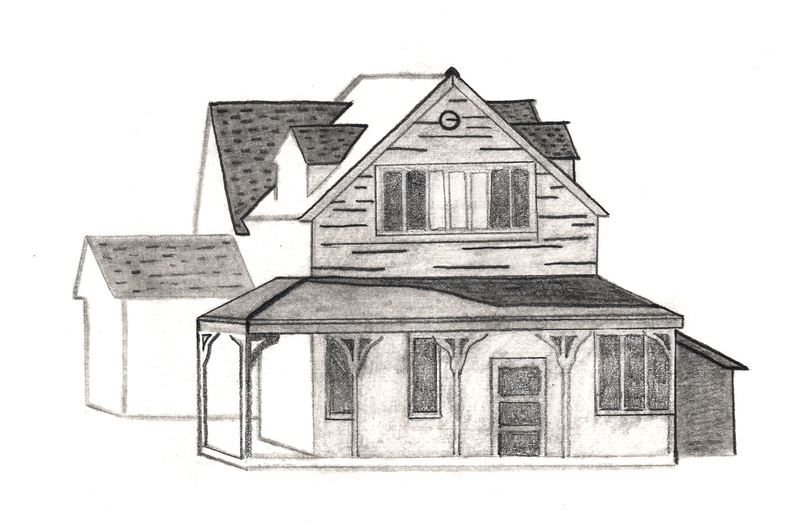 “We looked at several projects across the state, but in the end, the board thought that the Goodnight House restoration was especially worthwhile. 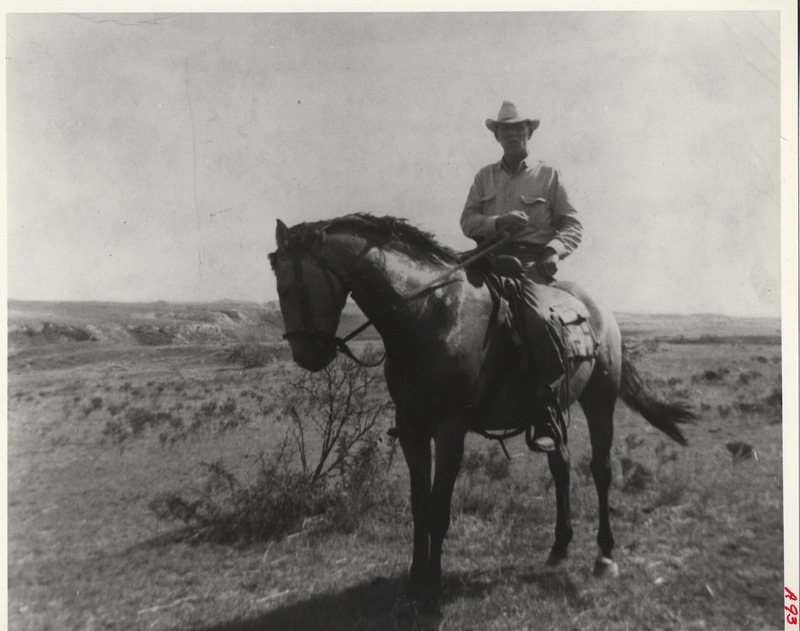 For one thing, this project will likely add new information to Texas’s historical record and shed new light into the life of one of the state’s legendary cattlemen,” said an official for the Foundation. 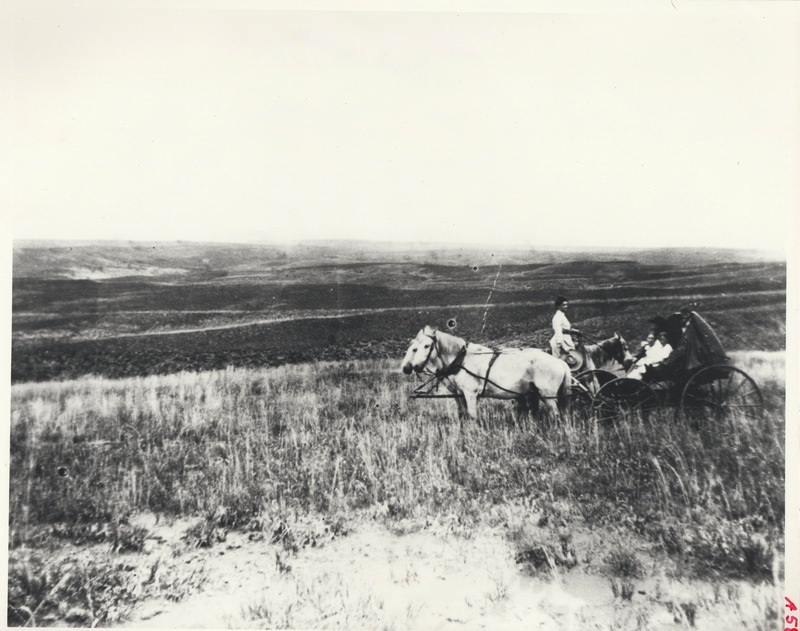 This photo documents what is believed to be the last time Charles Goodnight ever rode a horse. 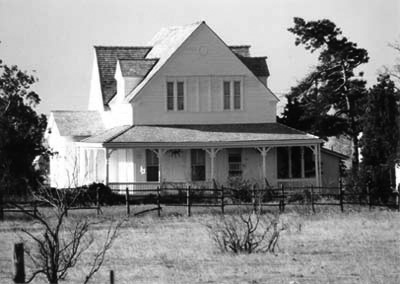 See coverage of the THF’s support of the Goodnight House restoration in the Amarillo Globe-News. 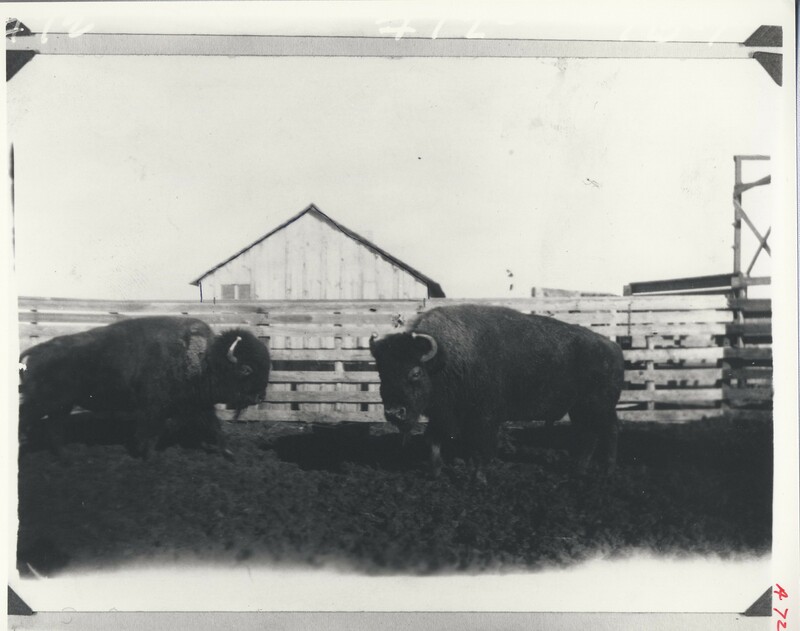 Sam Burrow, manager of Goodnight's buffalo herd, with the buffalo. 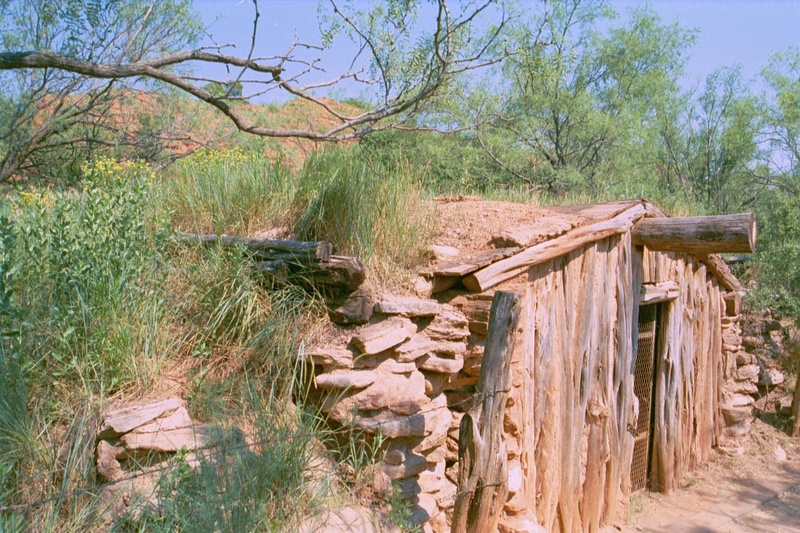 A dugout in Palo Duro Canyon--possible the one in which Charles and Molly first lived. The Goodnights, having no children, began to care very much for the little boy that was growing up in their home. 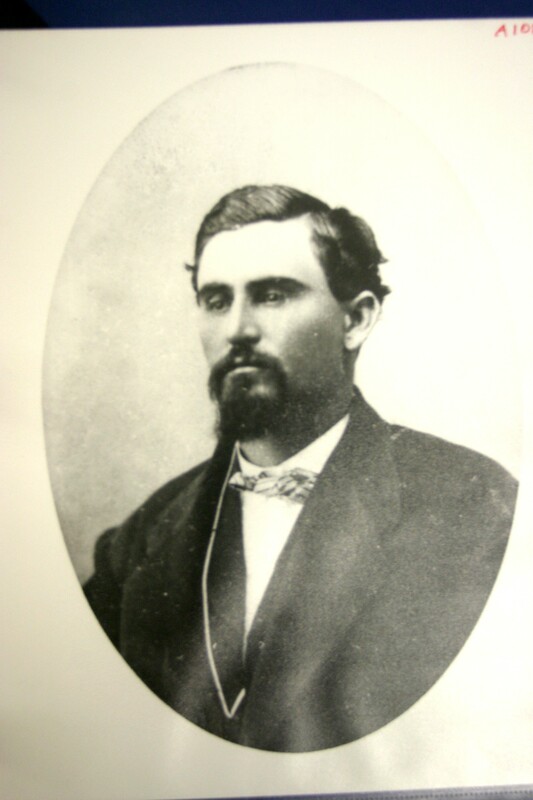 My father, Cleo Hubbard, was often spoken of as the foster son of Charles Goodnight. 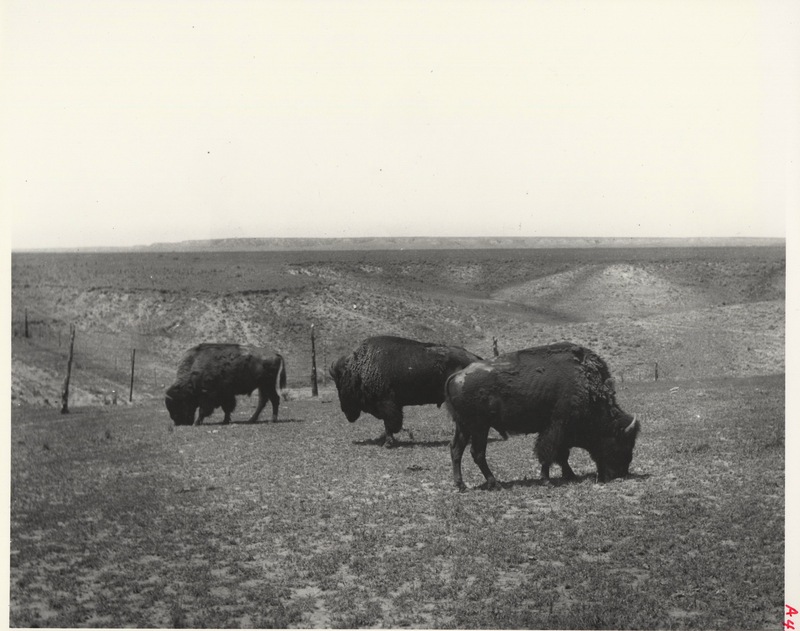 He was not his son but he was raised as his son, and taught everything about the cattle, buffalo, and horses that Mr. Goodnight would have done for his own son. Cleo Hubbard was the last foreman on the Goodnight Ranch before the death of Charles Goodnight in 1929. 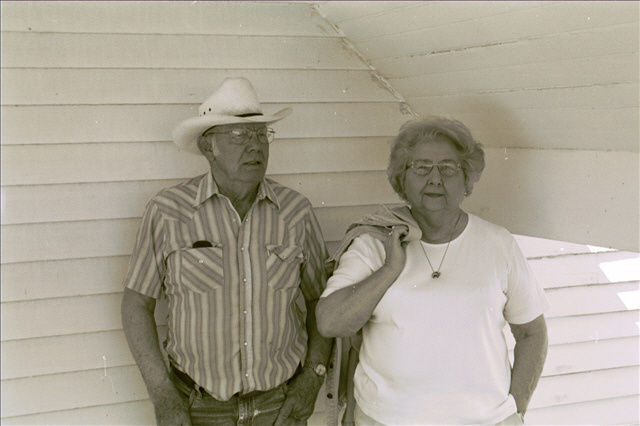 Emery and Montie Hubbard Goodin have been instrumental in working to restore the Charles Goodnight Ranch House. 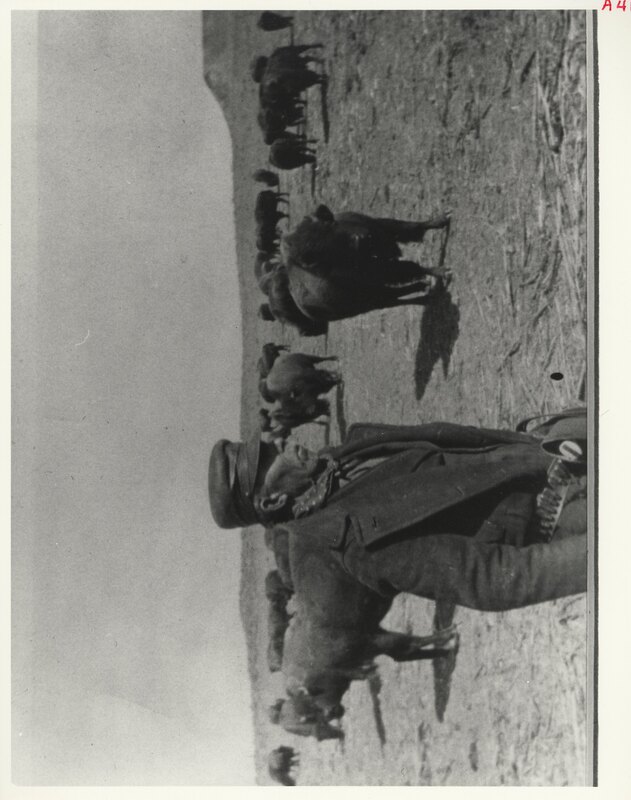 Charles Goodnight financed and produced a movie, “Old Texas 1916,” shot near his home in 1916 in an effort to interest investors in his buffalo ranching operation. He also invested in Mexican silver mines which were nationalized by Mexico after the Mexican Revolution. 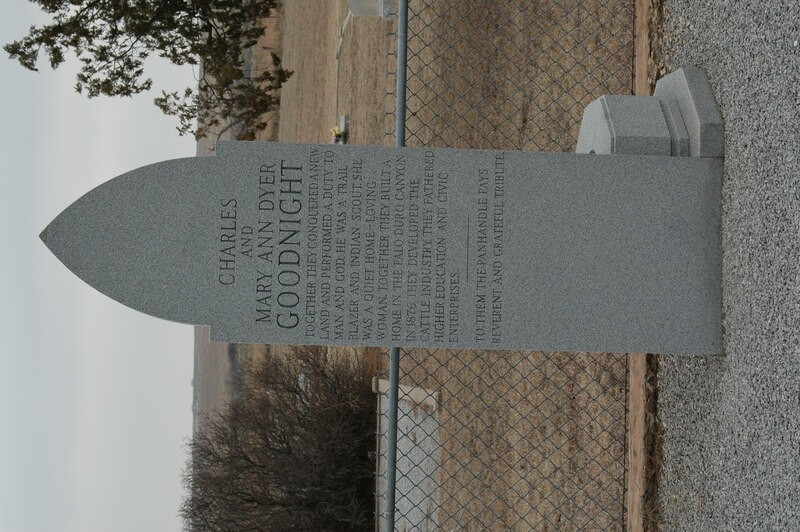 During his time in the Texas Panhandle, Goodnight, not satisfied to live on his fortune, started several banks, began two newspapers, and founded two churches. 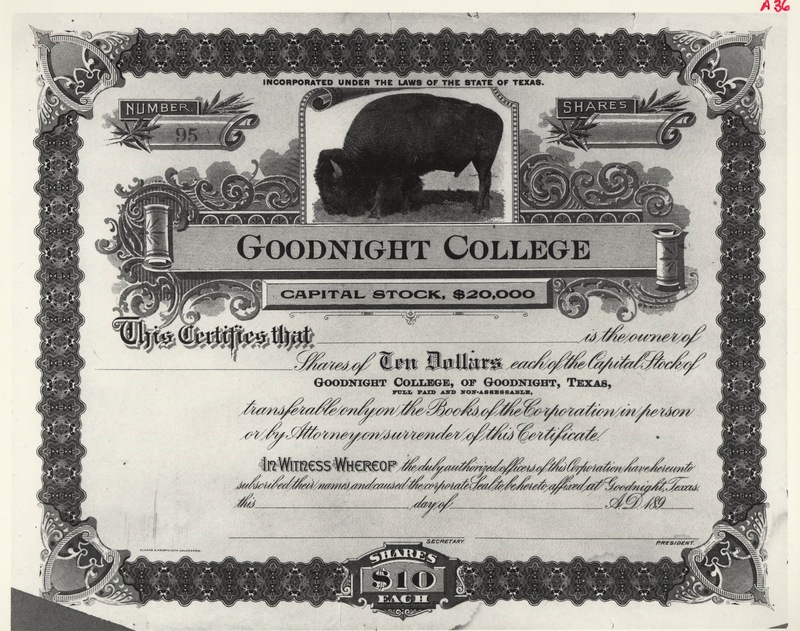 Molly Goodnight was instrumental when Charles and Molly moved to Goodnight in getting the college started. 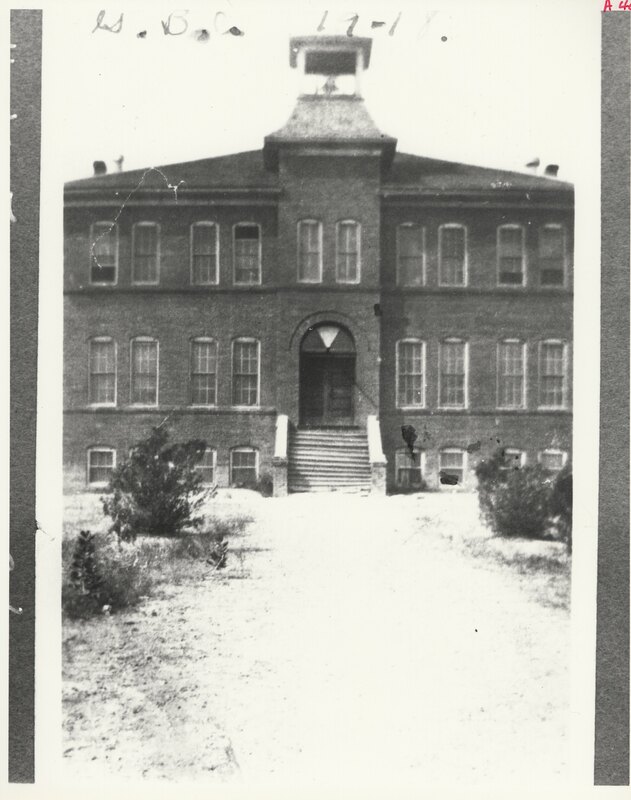 Later the orphan’s home was built. She was always looking toward education and the care of the children. She invited the college students out to the house regularly.